Tweak says, "Moms gonna miss the guacamole!" THREE - A party at Mr. Boggin's house and there's another way in! Kili so smart! FOUR - Setting out on an adventure, with a burglar in tow. SIX - Kili has the biggest parasites. SEVEN - The Troll's cave and being chased by warg riders. EIGHT - What happens in Rivendell, stays in Rivendell. ELEVEN - Dwarves don't belong in trees, flaming pinecones, and saved by the eagles. 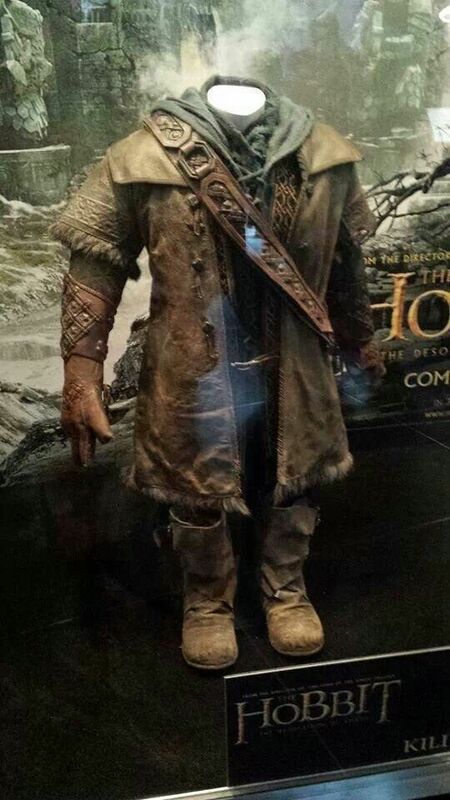 TWELVE - Beorn, the skin changer. *THIRTEEN - The Elven path through Mirkwood and being captured by spiders. *FOURTEEN - freed by Bilbo, but then captured by Wood-elves: Kili is bitchslapped by the awesome that is Tauriel. *FIFTEEN - "Aren't you going to search me? I could have anything down my trousers." "Or nothing." *SIXTEEN - The 'cursed talisman' from Dis and Elven starlight. *SEVENTEEN - Great Barrel Escape: "I used to be an adventurer until I took a poisoned orc arrow to the knee." *EIGHTEEN - OuchouchouchI'MFINEouch, Bard turns Lake-town Dwarf smuggler, and troubles getting weapons. *NINETEEN - Ordered to stay behind: in which an injured Kili wants to puke up his entire existence. *TWENTY-TWO - "She Walks In Starlight"
Scouting - Kili and Fili were known to be sent ahead to scout, together. This happens in the films and in the book. 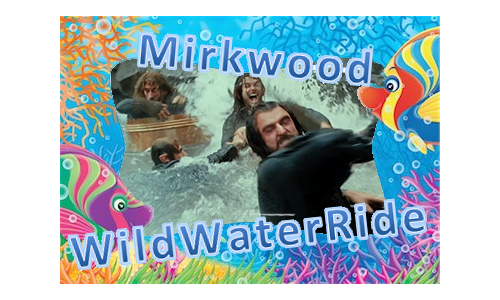 Just don't ask Fili or Kili to watch your ponies. They seem to incredibly bad at keeping a headcount. Or the ponies. They can't keep those, either. Melee Combatant - While he is able to peck off targets at range and heavily favors using his bow, Kili - like most Dwarves - is equally good at close-quarters combat. He uses a sword, whereas most Dwarves prefer axes not only for weaponry but also for utility purposes when they are traveling for trade or other matters which require them to leave their mines or underground cities. Dwarves are excellent close-quarters combatants and have powerful arms, resulting in one helluva hurty or deadly swing. Baruk Khazâd! Khazâd ai-mênu! Ladders - aren't just for climbing, but can become ladder shield!!1! Kili is an industrious critter when he's in a bit of a pinch. Alcohol Tolerance - Dwarves are hearty folk with strong constitutions. Woe be it to the average human who tries to best them in a drinking contest. Somewhere in their stocky bodies, there's an extra liver or two to filter out all of that liquor they're able to drink and still be able to stand, drink, brawl, or throw food with some semblance of aim. That is not to say that they don't get rowdy or drunkenly go zzz or anything. It happens. And yes, it happens with Elves as well but they prefer some strong wine, since they are snooty pants. Resistance - The Dwarves were created by Aulë to be strong, resistant to fire and the evils of Morgoth. They were hardier than any other race, secretive, stubborn, and steadfast in enmity or loyalty. They were generally less corruptible than Men. When Sauron attempted to enslave the Free Folk of Middle-earth using the Rings of Power, the Elves completely resisted his power (indeed, his hand had never sullied the Three Rings), while the Nine Rings utterly corrupted the Men who bore them into the Ringwraiths. In contrast, the Dwarves were sturdy and resistant enough that Sauron was not able to dominate them using the Seven Rings. At most, the Seven Rings sowed strife among the Dwarves and filled their wearers with an insatiable greed for gold, but they did not turn them into wraiths subservient to the Dark Lord, and he considered his plan to have failed. Sauron was furious at the Dwarves' resistance, spurring his drive to recapture the Seven Rings from them. Long Lifespans and Disease Resistance - The lifespan of Dwarves was varied depending on their ancestry. The Longbeards were particularly long-lived, but by the Third Age their lifespan was diminished and they lived, on average, 250 years. Occasionally they would live up to 300 years of age, but such a phenomenon was rare, comparable to a Man living to 100. Dwarves were considered too young for heavy labor or war until they were around 30 years of age (hence the slaying of Azog by Dain Ironfoot at age 32 was a great feat). By the age of 40, Dwarves were hardened into the appearance that they would keep for most of their lives. Between the approximate ages of 40 and 240, most Dwarves were equally hale and able to work and fight with vigor. They took on the appearance of age only about ten years before their death, wrinkling and greying rapidly, but never going bald. Sickness was almost unknown to the Dwarves, as they were immune to human diseases. Corpulence, however, could effect them. In prosperous circumstances, many grew fat by the age of 200 and became physically inept. Short Stature, Strength, & Endurance - Despite being 4.5 - 5 feet tall, they were known for their strength and endurance in battle, as well as their fury, particularly when avenging their fallen kin, and for being some of the greatest warriors in all of Middle-earth. They fought valiantly in many wars and battles over the Ages holding axes. In appearance their more distinctive characteristic was their beard which they have from the beginning of their lives, male and females alike; and which they shave only in shame. Kili has very little beard that's grown in, showing he is younger than the others, and likely it is a source of Dwarven paranoia that it isn't growing in like it should. It's the human equivalent of suffering from male pattern baldness. Crafty - As creations of Aulë, Dwarves were attracted to the substances of Arda and crafts. They mined and worked precious metals throughout the mountains of Middle-earth, but had a tendency toward gold lust, and committed their share of rash and greedy acts. Among these was the dispute over the Nauglamír, which led to the slaying of Elu Thingol and stirred up the initial suspicion between Elves and Dwarves to open hatred. Fiercely Devoted - Dwarves are fiercely devoted to their children. In their desire for their children to grow up hardy and enduring, they may treat them harshly, but they will protect them at all costs. Dwarves resent injuries to their children and to their parents more than injuries to themselves. Dwarven Languages - The Dwarven language was created by Aulë, and was called Khuzdul. It was a strange language to Elves and Men, and few non-Dwarves learned it, because it was difficult. The Dwarves kept it secret, preferring to communicate in the languages of their neighbors. Only one Khuzdul phrase was well known to outsiders: the ancient battle cry, going back to at least the First Age: "Baruk Khazâd! Khazâd ai-mênu! ", which means "Axes of the Dwarves! The Dwarves are upon you!". The Dwarves taught Khuzdul carefully to their children, as a learned language, not a cradle-tongue, and thus the language changed very little over the ages, unlike those of other races. True to the already secretive nature of Dwarves, they also devised a secret language of gestures to communicate between themselves in silence, the iglishmêk. This kept outsiders in the dark, even when Dwarves were speaking outloud. An entirely different conversation could be happening, simultaneously. WALNUTS - Obvious addiction and OT3 is obvious. Behold, the almighty wrecking nut!